The Netflix remake of the series "Lost In Space." In one scene, the son, Will Robinson (Danger Will Robinson!) is listening to an unmarked white pair of Form 2 headphones, with no cord, while playing with a tablet. How did I miss that?! I'm watching that right now! While wasting time on Facebook I spotted something very familiar on the desk in this cinematic scene from The Getaway for PS2. Can't recall if anyone's noticed this one yet, but in the movie "American Psycho" Bale's character has a pair of Beovox 100's in black and a Beocenter 9000/9300/9500 on the table behind his desk in his office at work. Home system is a pair of KEF 104s with some white Rotel separates. 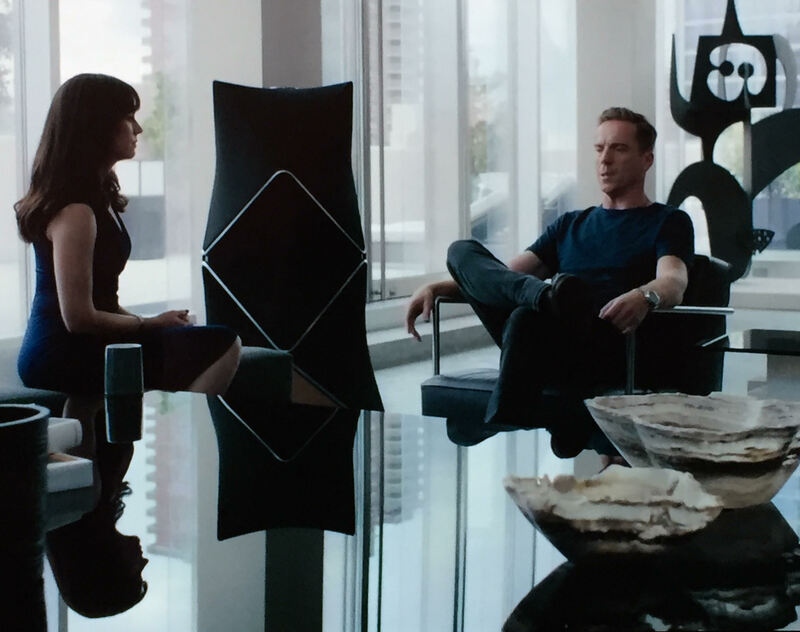 I was rewatching the "new" "Battlestar Galactica" and in the apartment on the capital world Caprica of one of the characters there was a black Beosound Century mounted on the wall of the very modern apartment. Looked quite good. From Jobs movie (with Ashton Kutcher, not Steve Jobs with Micheal Fassbender!). On top of that, there is a huge B&O stereo with some BeoVoxes on stands (can't remember the pieces exactly). You can actually see it all in the same scene with the BeoCom, look in the background on the left. Right, I missed those ones! Can't actually identify the stereo but speakers definitely looks like Beovox. Also not a movie but a pretty awesome placement. Music is debatable. Thanks for the BeoVirus, Dad! Note too the fretless Beolab 18s in the corners, and the Grundig spherical speakers along the walls. So funny and smart: a B&O device into a Loewe TV… Love the way you did it! I recently watched the 2nd season of a Shotime series called "The Hunger" that had David Bowie as the host introducing each episode. One of them, can't recall which episode now unfortunately, had B&O 1400 series phones in it.